CEO of StrategiCom Pte Ltd, a Business Strategist with over 10 years of experience in Corporate Strategy and Brand Strategy Formulation. 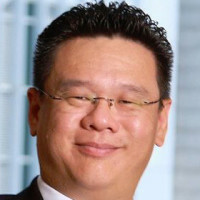 Dr. Wilson Chew is the Group Principal Consultant, Founding Partner and Chief Executive Officer of StrategiCom. He is a Business Strategist with over 10 years of experience in Corporate Strategy and Brand Strategy Formulation. Dr. Chew was a scholar whose doctoral thesis was Trust in the Corporate Brand and its Influence in Buying Behaviour in the Business Services Context, while his Masters thesis was Venturing into the Vietnamese Market – Singapore Small & Medium Enterprise (SME) Perspective.